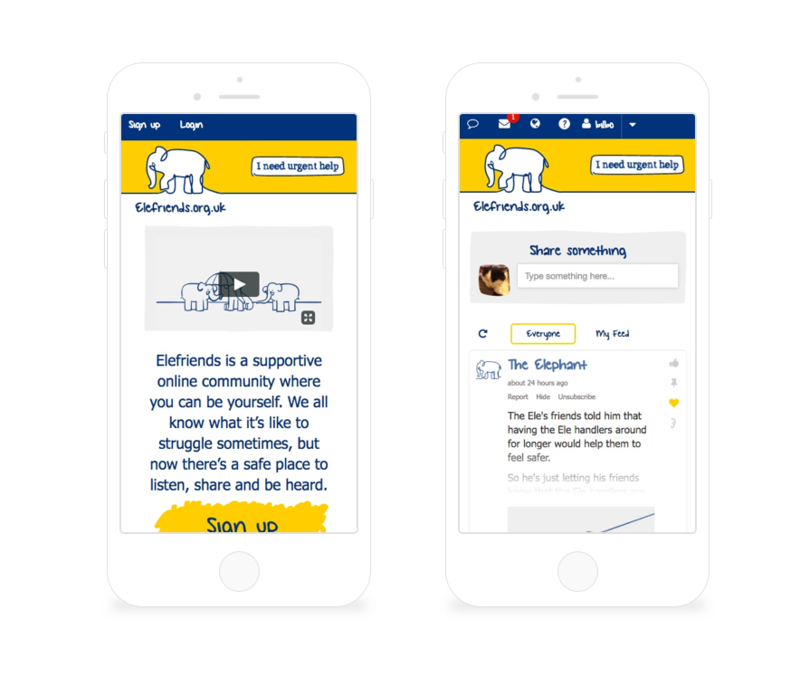 I was responsible for the co-design, strategy and technical approach to Mind’s Elefriends – the UK’s most successful peer support platform. By applying a Lean Startup approach I was able to take the idea from concept to full-scale service. I designed the initial prototype wireframes and tested the assumptions through a series of co-design workshops with vulnerable service users. I coded the initial working prototype to validate early ideas. I pulled together and managed an Agile development team to scale up the initial idea from website concept to two apps (iOS and Android). I led the ongoing service design and optimisation through usability testing and implementation of a measurement strategy. I regularly presented progress to stakeholders and funders. I used a collaborative, dynamic planning process – prioritising the work that needed to be done against capacity and capability of our multi-disciplinary teams. I also took responsibility for the technical approach, ensuring best practice, such as implementing AI machine learning to automatically moderate distressing images.